The Washington-Nile Local School District is committed to providing a school environment that enhances learning and development of lifelong wellness practices. A complete and up-to-date immunization records must be on file for each student. Students attending in 7th through 9th grades must have the MCV4, Meningococcal vaccine. This may also apply to some 12th grade students. Exemption letters for immunization requirements must be renewed every year. 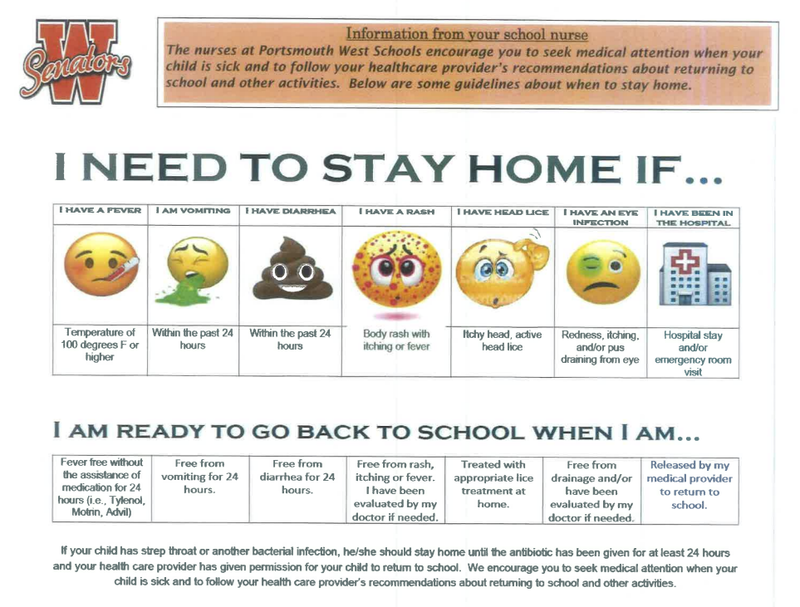 Medication that your student needs during the school day can be administered by our local nursing staff. For any medication to be dispensed a Medication Dispensation form must be filled out for that medication and must be renewed every year. PLEASE DO NOT SEND MEDICATIONS IN WITH YOUR STUDENT! MEDICATIONS MUST BE BROUGHT TO THE SCHOOLS BY AN ADULT!